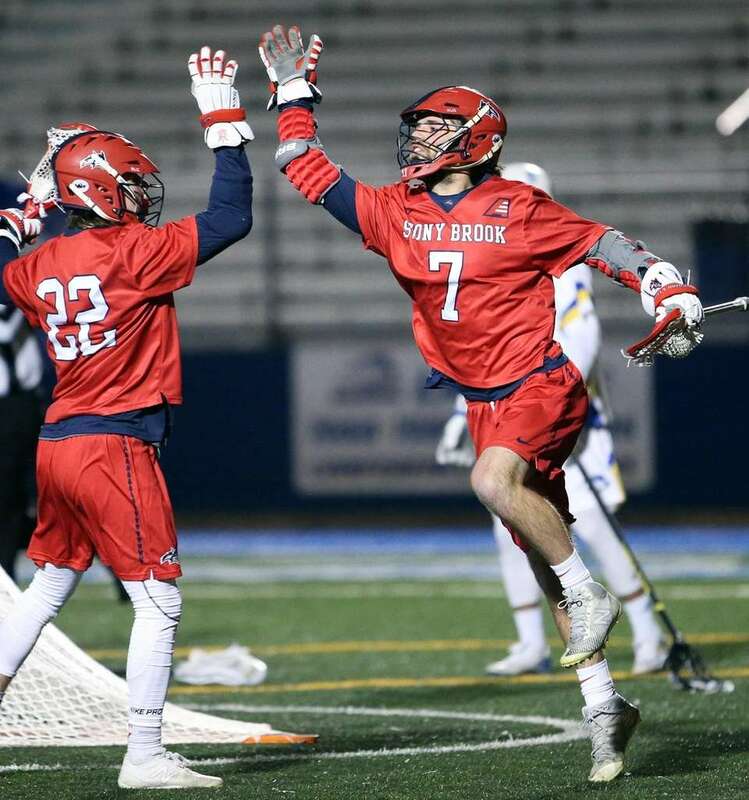 Stony Brook defeated Hofstra, 11-10, in a men's lacrosse game at Shuart Stadium on Tuesday, Feb. 26, 2019. 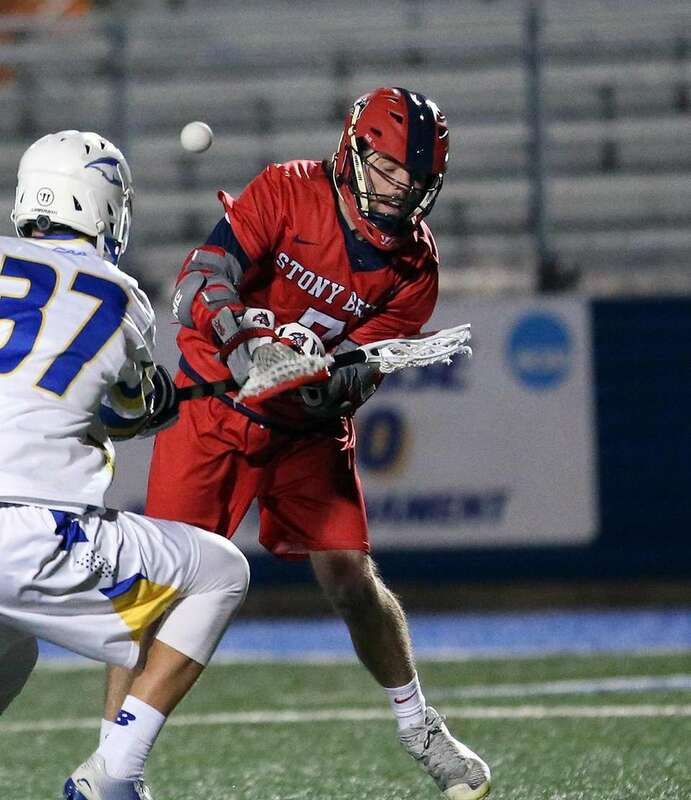 Stony Brook's Tom Haun scores during a men's lacrosse game against Hofstra at Shuart Stadium on Tuesday, Feb. 26, 2019. 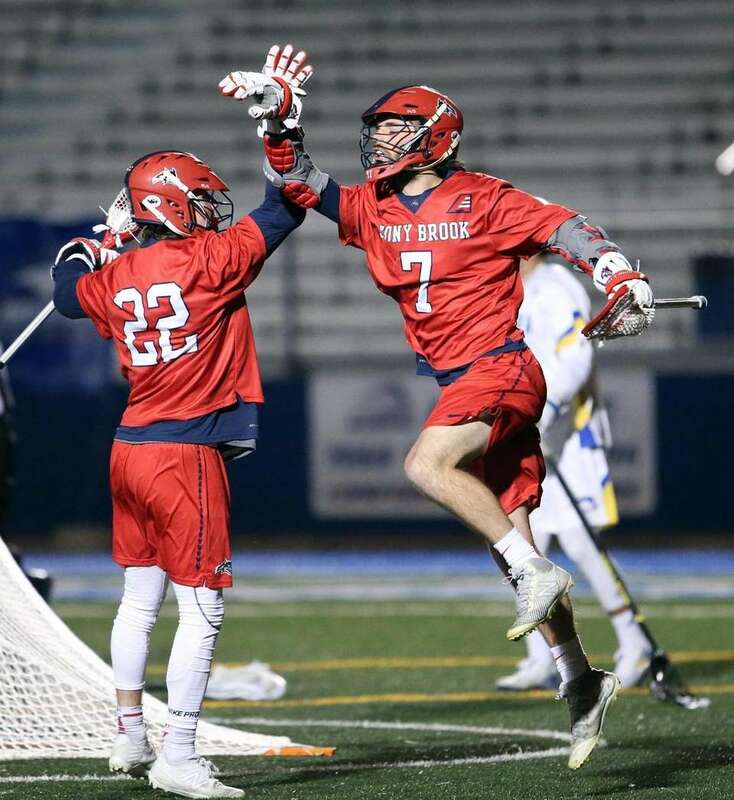 Stony Brook's Tom Haun congratulates teammate Jack Walsh for his goal during a men's lacrosse game against Hofstra at Shuart Stadium on Tuesday, Feb. 26, 2019. 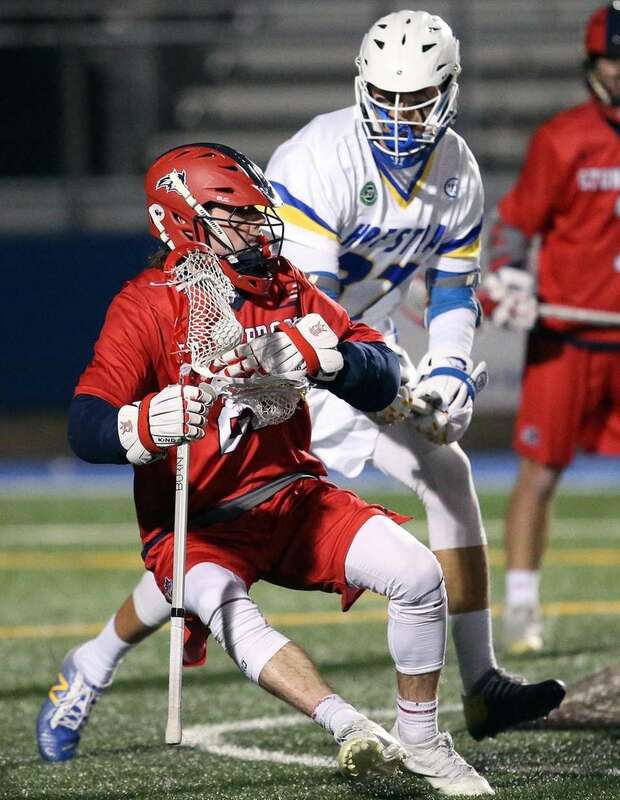 Stony Brook's Jack Walsh takes a shot on goal during a men's lacrosse game against Hofstra at Shuart Stadium on Tuesday, Feb. 26, 2019. 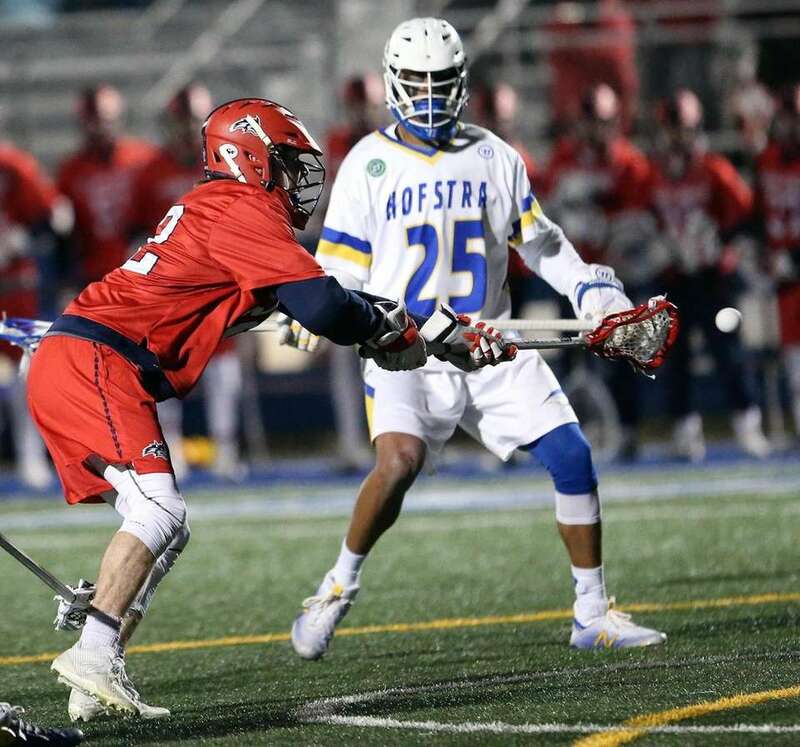 Stony Brook's Tom Haun controls the ball in front of the net during a men's lacrosse game against Hofstra at Shuart Stadium on Tuesday, Feb. 26, 2019. 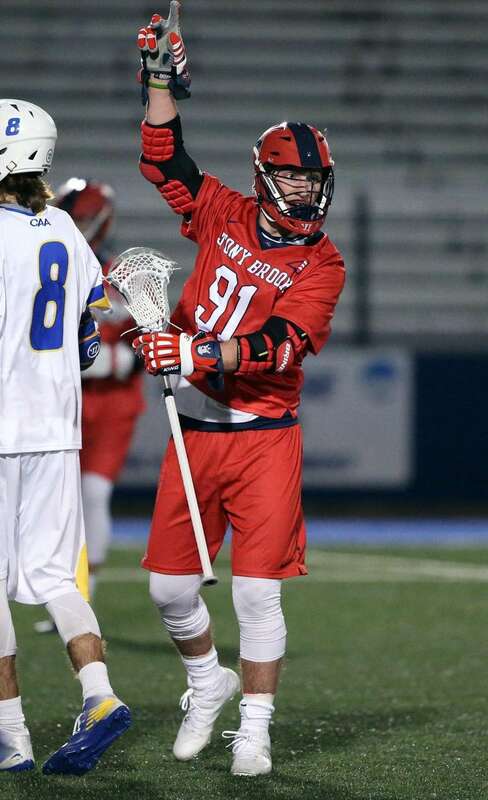 Stony Brook's Patrick Kaschalk reactes after scoring a goal during a men's lacrosse game against Hofstra at Shuart Stadium on Tuesday, Feb. 26, 2019.